The Ochoco Forest Restoration Collaborative cares about the forest and the people who use and enjoy it. We have worked successfully with the Forest Service to align future Forest Service projects with community values, identifying geographic areas to prioritize for future forest restoration—making sure that we are working on the projects that matter most to people. Just like you, OFRC likes to see results on the ground. One way we support active forest management is by reducing legal gridlock in the form of lawsuits that block forest restoration projects. We do this by hashing out differences among local people, interest groups, and other stakeholders who weigh-in on federal lands management. This is tough work that involves really listening to each other and using science to help us make decisions that are good for the forest and good for our community. OFRC completed forest recommendations for the Wolf project area on the Ochoco National Forest, which included some innovative compromises intended to improve forest health by removing heavy fuel loads and increasing resilience to fire. Without our efforts, this would not have been possible in this project area. The Forest Service has also used OFRC’s recommendations in the Gap project area. The Gap Environmental Impact Statement has been signed and one sale, Edge, has been sold so far, for a total of 2 MMBF. This work provided jobs in the timber and restoration sectors, enhanced fish and wildlife habitat and reduce fuel loads in the forest. Not only do people love the tranquil beauty of aspen stands, these unique trees create a niche habitat that is vital to a wide range of birds, mammals and other plant and animal species. OFRC recently created a guideline for aspen restoration on the Ochoco National Forest and is working with the Forest Service on a project-by-project basis to protect and restore aspen stands across the Ochoco National Forest. 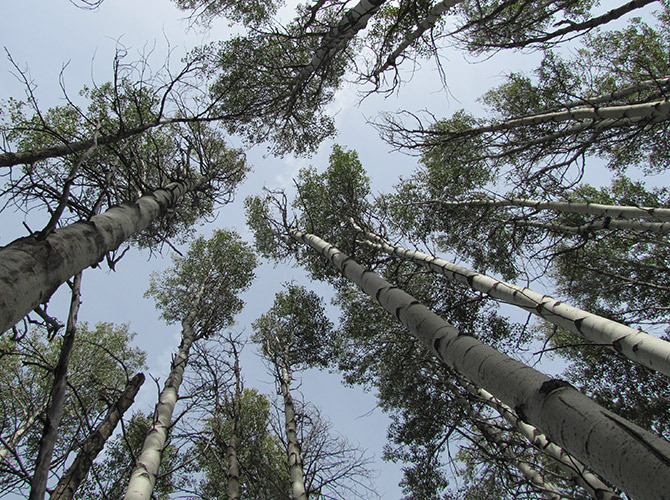 We contracted with Oregon State University scientists to begin monitoring aspen stands on the Ochoco National Forest. This work has highlighted threats to aspen stand health and opportunities for OFRC to support the Forest Service to protect this very special habitat. Working on important projects that benefit the community & improve forest health. 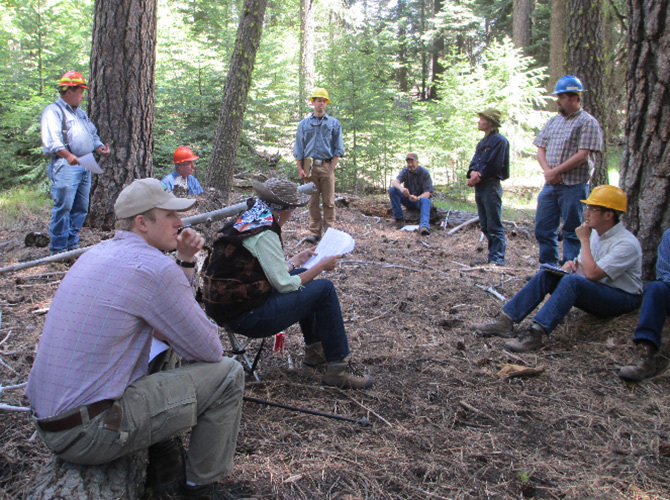 The Ochoco Forest Restoration Collaborative cares about creating and maintaining local forest-based jobs. We recently contracted with Ecosystem Workforce Program to complete a report on local contractor capture of federal forest restoration contracts. 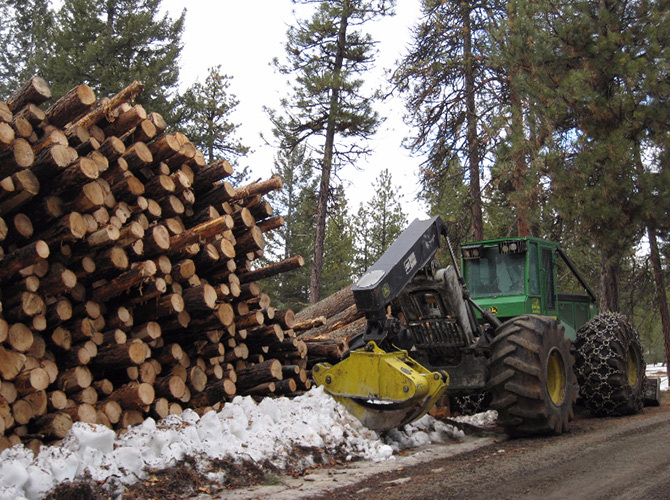 This report details what percentage of federal restoration contracts are awarded to local contractors and describes barriers that make it hard for local contractors to get work from the Ochoco National Forest. OFRC is working with local contractors and the Forest Service to see what we can do to help overcome these barriers and support local contractors to get more work with the goal of keeping more federal dollars circulating in the local economy. The OFRC cares about the forest and the people who benefit from it. We are currently working with the Forest Service on the Mill Creek Project, located just 16 miles NE of Prineville. This project contains Wildland-Urban Interface areas where the forest abuts private lands, sensitive fish and aquatic habitat, aspen stands and acres of dry forest in need of active restoration. We are working with Forest Service specialists as they collect and analyze data so we can learn together about the key issues and concerns within the project area. Together, we’re working to protect private homeowners by reducing fuel loads, enhancing fish habitat by restoring areas around streams, and creating local jobs by supporting timber harvest, pre-commercial thinning and other service-work. Our work relies on good relationships among people who don’t always agree with each other. To build trust and check that our past work is leading to the future forest conditions we want, OFRC does a lot of monitoring of past projects. We take field trips to look at how the work has been done and to discuss the immediate, mid-term and long-term results of this work. We also ask for a professional opinion and hire research scientists to take a look at our work. Currently, we are working with Oregon State University researchers who are implementing pre- and post-implementation vegetation plots within the Wolf project area to help us understand whether the forest treatments will achieve our hoped-for results of forest resilience.